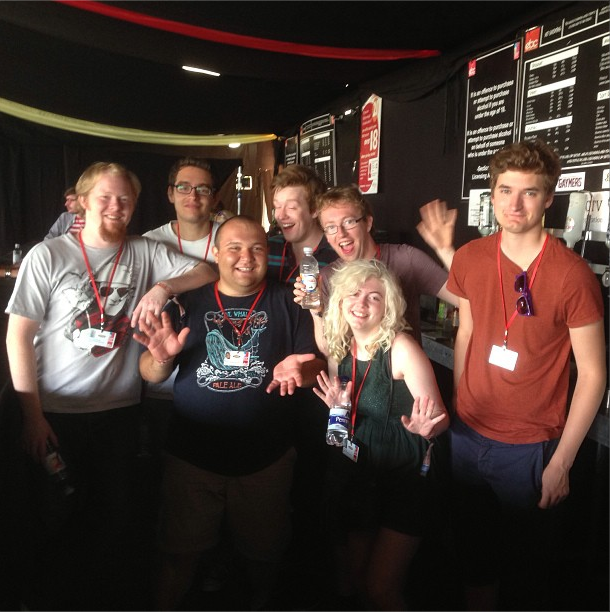 Warwick Labour sent a delegation to Reading Festival this weekend as part of the Workers’ Beer scheme, organised by the wider labour movement. Working behind a bar in the guest area of the site, former President Baris Yerli, Publicity Officer Will Tucker, Rowan Pearce and Rachael Ward, plus comrades from University College London raised money for the society that will be crucial to meeting our funding needs this year as we strive to be a strong campaigning force in the Leamington and Coventry areas. All money the comrades would have earned goes to the society’s account and when not working, the workers were free to go and watch the festival, which was headlined this year by Green Day, Eminem and Biffy Clyro.